The KrAZ-214 was a Soviet truck produced in the Ukrainian city of Kremenchuck between 1959 and 1967. 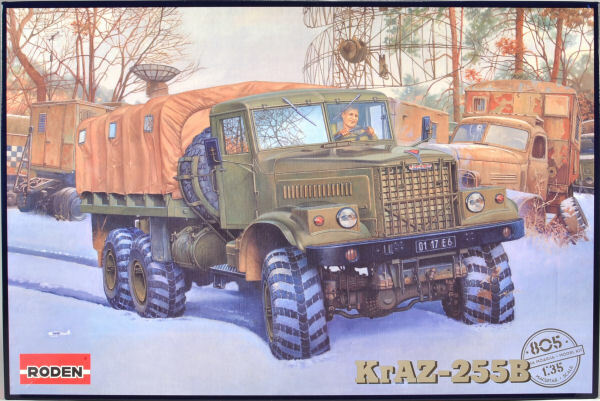 The KrAZ-214 had a 7 ton carrying capacity and could transport special loads on a trailer, up to 50 tons by gross weight. A series of special military trucks were produced on the basis of the KrAZ-214, along with power shovels, water tankers, pontoon and bridge carriers, and fuel servicing trucks for strategic rockets. Apart from the USSR, the KrAZ-214 was exported to several allies of the Soviet Union including East Germany, Czechoslovakia, Poland, Hungary, Cuba, Egypt, Algeria and many others. More than 30 thousand of this type of truck was produced. After a request for new wheels and tires for the Kraz-214 in 1966, the KrAZ-255B looked like a bear - the truck became visually more massive although externally, except for the wheels, tires and headlights it didn't differ much from the 214 model. The first trucks rolled off of the production line in 1967. In 1993, 25 years after the beginning of construction, the last KrAZ-255B came off the production line. More than 195,000 of all variants had been built. This truck will be MASSIVE once built! 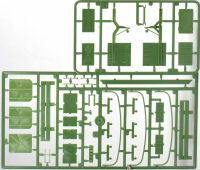 If you are interested in modern military trucks, you will want to add this to your collection.